Swipe right on the StartScreen and go to Settings. 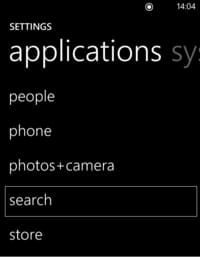 Swipe to the "applications" menu > search. 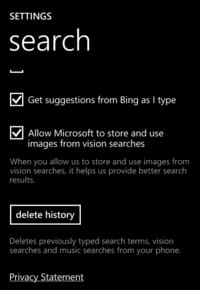 Scroll down to the bottom of your screen and tap on "delete history". Published by deri58. Latest update on October 19, 2016 at 03:57 PM by Olivia Long. 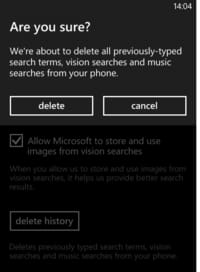 This document, titled "Windows Phone 8.1 - How to delete your search history," is available under the Creative Commons license. Any copy, reuse, or modification of the content should be sufficiently credited to CCM (https://ccm.net/).